I’m taking a break from publishing racing information and will be working on personal photography projects. A new photo gallery will be published with the new work as the work is done. Motorsports Art by Angus McGregor. To commission artwork by Angus send your request to pjm3@scmsrn.com. Experienced, professional voice talent “At your service”. 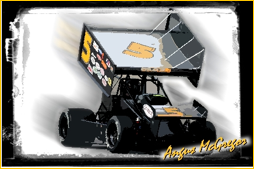 Norman Smith media contact for Sumter Speedway! Call today 843-229-0742! The above link is a testimony by Paul J Miller III, SCMSRN.com Publisher. Pit Pass Radio: Weekly Motorcycle Talk Show entertains, educates, and informs motorcyclists and motorcycle enthusiasts around the world about what is happening in the motorcycle industry. US TT Foundation We are a newly formed organization with a long-range commitment to an American presence at the TT. SC Racin’ on the Radio! Eagle 92.9 has you covered! Monday nights at 7pm, the top-rated "That's Racin' with Dan E. Lockemy and Rudy Branham" covers the world of racing from the local tracks to the latest from NASCAR.